The Company "Internet - Frigate" is a member of Consortium "Fort-Ross IT Services" (St.-Petersburg) (www.fort-ross.ru) and Russian National Software Development Association RUSSOFT (Moscow) (www.russoft.org). The Company “Internet-Frigate” was established and began its activity since March 2000. The idea to found out a firm dealing directly with Internet-technologies appeared due to both the promising development of the high technological market and a great number of specialists in the region available. The intellectual potential of our region and our town is rather high. The existence of the largest technical University in the South of Russia from which graduate a lot of programmers, mathematicians, experts of other specialties and the students’ greatest interest in the Internet have supported the business idea with personnel resources. A large number of qualified programmers and mathematicians able to effectively and on their own make use of program products, programming languages and modern technologies attract foreign customers. Of greater importance is wage differential of such specialists as compared with the western market nevertheless this factor can influence only the development of the given branch in Russia. Our company has carried out several large- scale projects for the American company 3WCorp–DataPeer (New Jersey). Since April 2000 the development of file store 3W – System has been initiated on the modern technological and hardware base. The design of several systems, extensive market research, and consumer market analysis have been carried out on the request of 3w corp. inc.
Control and measurement production development in the firm – group “BVN - Intor” called into being such a direction of the company’s activity as software design for Supervisory Control and Data Acquisition (SCADA) systems. Within two years of working in this direction several SCADA projects were carried out. These projects allow to monitor and control parameters of the complex oil - producing and oil – processing equipment. Interaction with a user, graphic and ergonomic interfaces used to get the approval of our customers. One of our complexes was developed to control the testing of helicopter engines reducers and was represented at the International Aerospace saloon “MAKS”. A significant extending of “Internet Frigate’s” spheres of activity has brought about a demand for highly qualified personnel. While recruiting new specialists we faced a number of problems typical for the labour market – lack of the structurized and accessible information on the specialists available. With its help one can quickly and without considerable expenses choose a group for the further psychological and professional testing. Finished products presented on the Russian market failed to meet all our requirements. It was exactly the solution of our own problems on personnel selection that gave a start to one of the firm’s activity trends – the creation of multi-purpose personnel systems. There has been established a personnel web-service of Internet-Frigate specializing on collecting and handling resumes of the specialists in the field of information technologies. Analytical methods of the service allow to estimate not only the visiting statistics but also the growth rate in the amount of competitors and skills in this or that field. It turned out that such personnel Internet services are of great necessity for large enterprises paying much attention to personnel management. One of the examples of such a system implementation is the personnel service of the open joint-stock company ”Rostselmash” designed by our specialists. This trend has found customers not only among the enterprises but it has aroused a great interest of the personnel agencies and employment services throughout the country. Web-representation and Web-systems complex of business automation in the Moscow personnel agency “Profil”. can be considered as one of our achievements in this field. The site of the agency ranks with 500 most frequently visited ones in Russia and among the Internet systems of personnel agencies it is reckoned among the three best. At present long-term agreements to carry out work on complex automation of personnel selection services and several personnel agencies and their support have been made. In collaboration with the association of the Universities in the South of Russia we train specialists capable to work with modern information technologies. The introduction of new specialities and courses conducted by our experienced employees allows the company to develop itself as well as to constantly replenish our staff with the professionals. At the present moment the staff of the company includes designers, programmers and web-programmers. Apart from the complex systems development we are engaged in working out and designing informative and corporate sites, before print preparation of publications, modeling and interior design. One can mark out one of the large-scale projects in this direction – a book “The ABC of Mountaineering” created for the members of “The Russian Imperial Geographical Society”. Internet technologies are a rapidly developing industry. Despite the fall in the NASDAQ exchange and complexities on the speculative stock market the demand of a real economy sector both Western and Russian for the Internet solutions is surely growing. New contracts with the English, American and German companies on software development and testing have been recently made. The interaction at all the stages of work with our customers is carried out in a form convenient for them, that’s why each customer is our potential long-term client. Our credo is to carry out an order at a specified period of time and supply a product of a high quality. You can get acquainted with a list of our partners and customers according to the following reference. Favorable responses received from our customers following our effective cooperation are the best pay for our work. In 2003 the company Internet-Frigate has entered the national Association of software developers RUSSOFT. RUSSOFT comprises about 50 companies leading in the field of software development from Russia and Belarus. We are representatives of the South Federal Area in highly authoritative Association of software exporters. Our company’s entering the Association will allow to fruitfully work at the solution of the problems connected with the development of information technologies industry in Russia, position strengthening of home companies in the world outsourcing market. All our business achievements are connected with personnel selection and its qualitative management in all its manifestations. We hope that our team’s professionalism will be adequately estimated by You at our true worth while introducing modern information technologies into your business. August, 2001 Sowtware for complex was developed to control the testing of helicopter engines reducers and was represented at the 5th International Aerospace saloon “MAKS” (Moscow). January, 2009 Company "Internet-Frigate" has concluded the partner agreement with company DocsVision on distribution of its products and on working out and introduction of systems of document circulation and automation of business processes on the basis of DocsVision. 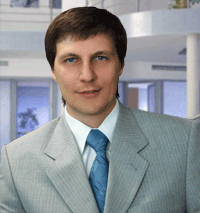 June, 2009 The Rostov social council on Internet technologies is created. The company "Internet-Frigate" has become one of founders of this council. The council is created for work on expert consultation of heads of the state and municipal services of Rostov-on-Don and Rostov area, the analysis of information projects and a formulation of offers on use of a network the Internet for a state administration and region development. 30th October, 2009 At "The Don Venture Fair" company Internet-Frigate is recognised the best in a nomination "Original business idea", having presented innovative software product "Geoinformation system of electronic document circulation". 10th March, 2010 Internet-Frigate has received the state accreditation of the Russian Federation Government for realisation of activity in the field of the information technology. Record about it is brought in the register of the accredited organisations for № 284 from 10th March, 2010. April 15, 2012 Development of the Internet-Fregat company, the official site of the city of Novocherkassk (novochgrad.ru), I gained the diploma of 2 extents of annual All-Russian competition of the web sites about local government "Best municipal site"
October 14, 2012 The official site of the city of Novocherkassk (novochgrad.ru) developed by the Internet-Fregat company gained the Diploma of the I degree in the competition "The Best Municipality on the Organization of Information Exchange with the Population" in the nomination "The Best Site of Municipality on the Organization of Information Exchange with the Population". April 15, 2013 The director of the company "Internet Frigate" of Hamsters of S.V. is awarded by the Diploma of the winner of the II rating "TOP-1000 regional managers of the enterprises"
September 11, 2014 The ministry of information technologies and communication of the Rostov region in the person of the minister Lopatkin G. A. awarded the director of the company "Internet Frigate" Homyakov S.V. with the letter of thanks "For cooperation and a big contribution to creation and development of information and communication infrastructure in the territory of the Rostov region"